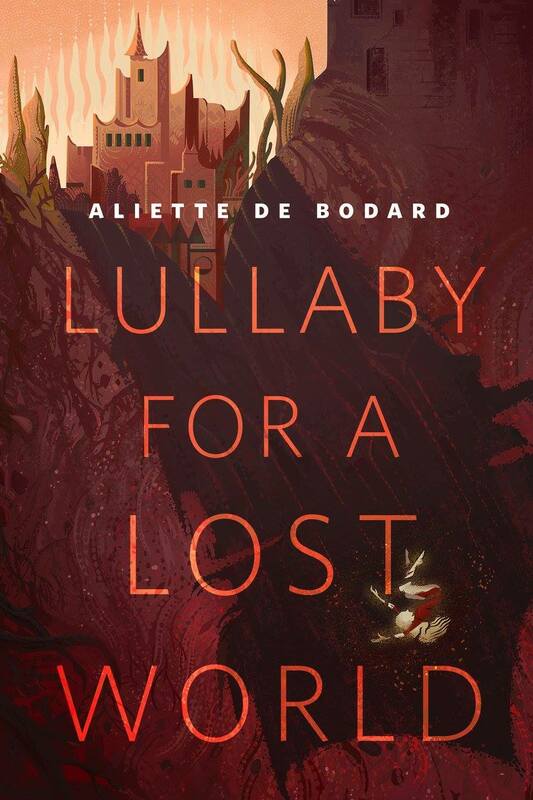 What I feel most proud of this year is my tor.com publication, “Lullaby for a Lost World”, which is a sort of answer to “The Ones Who Walk Away from Omelas” (one of my absolute favourite short stories). 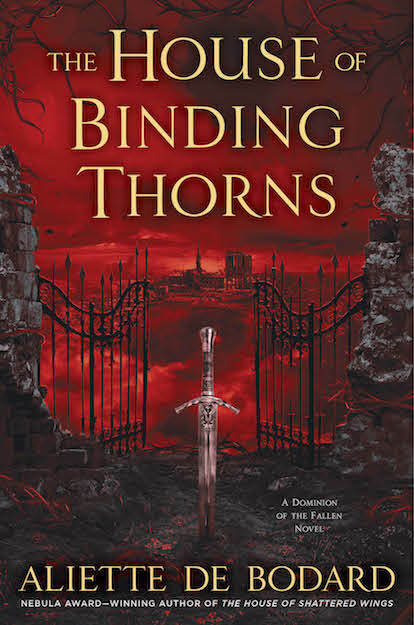 It was picked for Paula Guran’s upcoming Best of Dark Fantasy and Horror. It’s a really short dark Gothic fantasy, and to read it won’t take more than a lunch break, so if you feel so inclined it’s here. If you prefer ebook format it’s in the Tor.com anthology that you can get for free on amazon (MOBI) or Barnes and Noble (EPUB) and most other major retailers. I had really high expectations for Yoon Ha Lee’s NINEFOX GAMBIT, and I wasn’t disappointed. A space opera set in a repressive religious empire called the Hexarchate, NINEFOX GAMBIT follows soldier Kel Cheris as she is tasked with the impossible: retaking the fortress of needles from a rebel force, and survive the invasion of her mind by Shuos Jedao–a master tactician infamous for slaughtering two armies, including his entire command. This is brutal, relentlessly inventive in its uses of mathematics, calendrical oddities and theory of warfare–and it’s also beautifully and evocatively written. This is cheating a bit as I didn’t read it in 2016, but Tade Thompson’s ROSEWATER is also mindblower. Set in a Nigeria where aliens have established a dome–the eponymous city of Rosewater–the novel follows Kaaro, a character with psychic powers, two jobs, and a past that might just be troublesome enough to swallow him whole. This is a very strong noir story: Kaaro is a great character with a strong voice, and the alien invasion itself is one of the more original scenarios I’ve come across, its implications meticulously and thrillingly worked out. You can read an excerpt here. At first glance, Adrian Tchaikovsky’s SPIDERLIGHT might seem like a conventional fantasy: a party seeking to slay the dark lord are in search of a map to help them infiltrate his lands and find out his weaknesses. Instead of a map, however, they get Enth, a giant spider turned human by magic, who struggles to understand how humans work and sets off various conflagrations, both within the party and without… This is sometimes hilarious, sometimes sharp; and draws to a perfect but bittersweet close. Ken Liu’s THE WALL OF STORMS is a great continuation of his Dandelion dynasty trilogy: Kuni Garu, now Emperor Ragin, must face the greatest obstacle of all nascent dynasties–how to pass on power to the next generation. 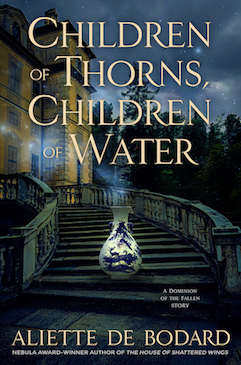 But, while Ragin’s wives intrigue on behalf of his two sons, invaders from beyond the fabled Wall of Storms are readying their forces… One of the criticisms I had of the first volume was the dearth of women: this is amply remedied in this book, which has a wealth of women characters at all levels of society. It’s a great book with amazing detail and characters, and meticulously worked out science–the sections where characters race to make new weapons are masterful. Michelle Sagara’s CAST IN FLIGHT is a great continuation of her Chronicles of Elantra, though it is most definitely not a starter book. Private Kaylin Neya gets into a world of trouble when she invites the injured Sergeant Moran to share a house with her, and finds herself embroiled in deadly Aerian politics. A lot of favourite characters returned in this one (I just love the dragons in human shape, especially Bellusdeo), and this has possibly the funniest dinner party ever. Isabel Yap’s HURRICANE HEELS is a tour-de-force mosaic novel about friendship, magical girls, standing up to evil–and hen parties, weddings and the power of girls to change the world. I read it cover to cover in two hours. So worth it. Short for a novel, but it’s just above the 40k mark and so won’t fit into the novella category. Charles Stross, THE NIGHTMARE STACKS: a vampire working for the British civil service fends off an invasion of Lovecraftian elves. Also has a really great dinner party. Kate Elliott’s POISONED BLADE is a strong follow-up to COURT OF FIVES, as half-Patron half-Saroese Jessamy must navigate politics, growing love, the intricacies of the Fives game and her own family history. (eligible for the Norton award). Cassandra Khaw’s HAMMERS ON BONE is set in a dark, smoky London haunted by Lovecraftian entities: its main character, John Persons, just happens to be one such entity, with a set of “principles” that lead him into conflict with others. He might just have found more than he could bargain when a kid walks into his office and asks him to kill his stepfather… Khaw blends noir and Lovecraftian mythos to perfection–Persons isn’t a pleasant narrator and this isn’t always a pleasant read, but it’s atmospheric, and all the shades of dark. Tade Thompson’s “The Apologists” is already up for a BSFA Award: it’s a dark claustrophobic tale of what happens when aliens try to make amends for wiping out the human race, and what this means for survivors. Nghi Vo’s “Dragon Brides” is lovely: years after being kidnapped by a dragon, a princess returns to the dragon’s lair and finds herself dealing with the past. 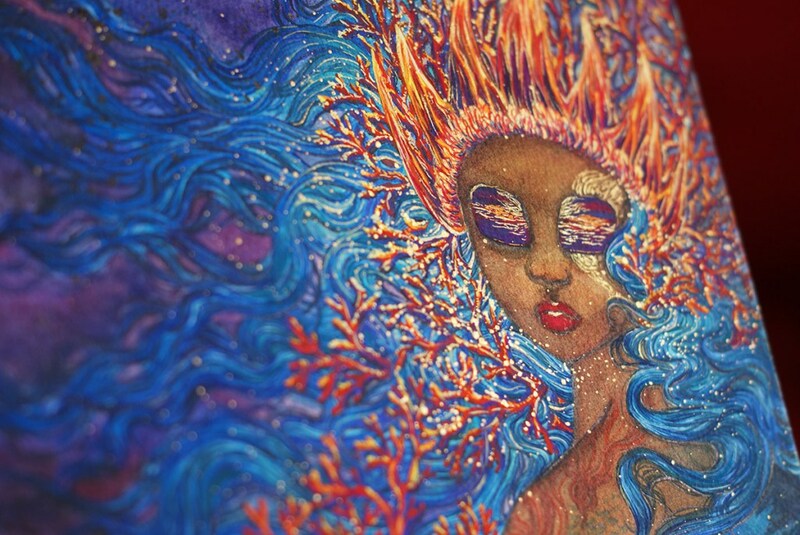 Isabel Yap’s “An Ocean the Colour of Bruises” : friendship, existential malaise and drowned people. “Writing Women Characters in Epic Fantasy without Quotas” by Kate Elliott: a through debunking of the idea that women had no part in history, this is long but awesome. Tade Thompson is in his second year of eligibility. I highly recommend you read Rosewater, see above, but if you just want a sample try this (dark) piece. I’d also forgotten Arkady Martine was eligible: you can read a story of hers here, which is weird and bloody and unsettling. Likhain’s art is consistently wonderful, and her mastery of colour and texture is second to none. She got left off the ballot last year but she totally should be on it this year. She’s put together a sampler which you can see here. I’ve gotten the question about the eligibility of the Xuya Universe as a whole for the Best Series Hugo: the answer is that yes, to the best of my knowledge, it should be eligible . Snowball’s chance in hell and all that, but I would definitely be tickled pink if you felt like nominating it. There’s a bunch of qualifying volumes published in 2016, but if you’re at loss for which one to name, you can put “A Salvaging of Ghosts” (published by Beneath Ceaseless Skies). A multi-volume science fiction or fantasy story, united by elements such as plot, characters, setting, and presentation, which has appeared in at least three (3) volumes consisting of a total of at least 240,000 words by the close of the calendar year 2016, at least one of which was published in 2016. If any series and a subset series thereof both receive sufficient nominations to appear on the final ballot, only the version which received more nominations shall appear. There are way more than 3 Xuya stories in existence, and the total wordcount published up to the end of 2016 is 243k meets that particular requirement. I’ve been asked whether “volume” covered short stories: there’s nothing there about a lower or upper limit wordcount for volume, and nothing either about a qualifying word length in the year of eligibility. So my best guess is that Xuya meets the criteria.